Most parks now require that privately owned static caravans have an annual gas safety test. 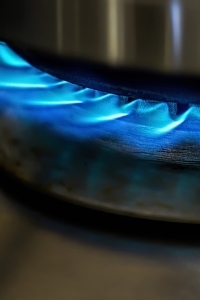 Typically a gas test will cost no more than £50 to £60 and a certificate will be issued providing the gas pipe work and appliances are considered to be in safe working order. In additions it is always important to ensure gas equipment and appliances are regularly serviced for peace of mind. Servicing and other gas work should ONLY be carried out by a qualified gas engineer. The new government endorsed ‘Gas SAFE’ register allows you to check if an engineer is qualified to work on your gas appliances and pipework. There are many people living in rural areas who are unable to connect to a mains gas network. This is where LPG (liquefied petroleum gas) comes in. It is becoming a realistic alternative as more and more people become aware of its many benefits. In comparison to its competitors, LPG is more environmentally friendly. According to the experts, LPG has the lowest level of carbon emissions, poses no pollution threat to the soil or water, and burns very cleanly with a few emissions. With vast improvements in technology, there is now greater flexibility in its installation process. This is very beneficial to household owners who can now choose whether to install them above or below the ground. In order to not distort the look of the land too much, most people opt to store the LPG vessels underground. However, it is up to the individual in question on how they would like their LPG installed. Your LPG supplier will be able to assist you further on operational guidelines and further guidance on the continual maintenance involved in the aftermath of the LPG installation. It is useful to note that LPG is the only non-mains gas fuel which provides a real and controllable flame for cookers and fires – just like mains gas does. Although oil has often been regarded as the main fuel source in non-mains gas areas, this is about to change as the benefits of LPG become more widely known. LPG (Liquefied Petroleum Gas) can be best described as the closest alternative to mains gas and is used for central heating, water heating, and cooking. LPG can be available in liquid or gaseous form and is stored in bulk tanks or cylinders, depending on the required usage. If you are looking for a cost-effective system then the LPG heating system could be the solution for you. Your LPG system will only be heating your water to the correct temperature when you will be needing it. This will save you on energy. In addition to being quite flexible, the LPG system is very versatile. For instance, it can be used for a number of purposes such as fuelling central heating, water heating, fires and cookers with a real and controllable flame for gas hobs, ovens and fires. Your LPG system will not contribute to any ground or water pollution hazards. You can have your pick from a wide choice of appliances which are available from leading manufacturers. As the LPG increases in popularity, it has had to raise its prices in order to stay competitive. Therefore you may save on cost in the long-run, however be prepared to dig deep into your pockets for the initial installation fees. Installing an LPG system can spoil the look of your land. However, this can be avoided if you decide to go for an underground tank. You will need to bear in mind the annual maintenance costs for your LPG boilers. Maintenance is important in keeping the boilers running efficiently. Some critics have argued that LPG cannot be considered as a clean source of energy as it produces carbon dioxide when it is burnt.